DrinkWire is Liquor.com’s showcase for the best articles, recipes and reviews from the web’s top writers and bloggers. In this post, Creative Culinary offers a margarita twist. 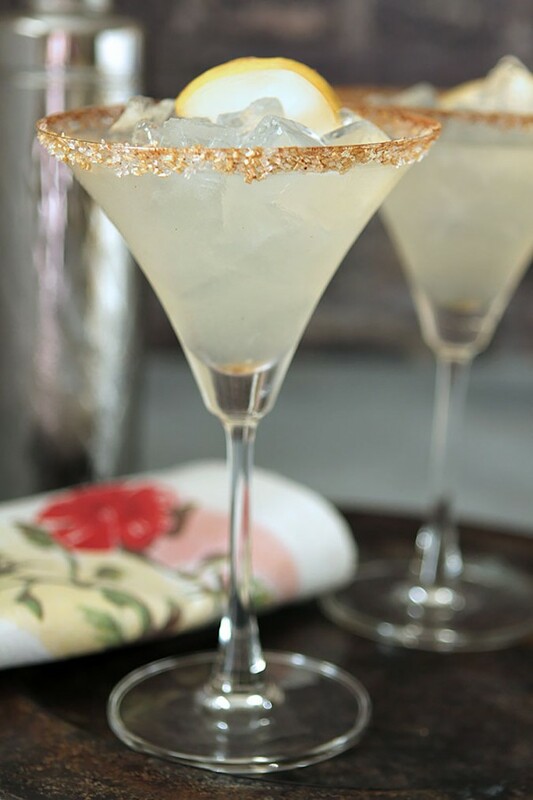 This Spiced Pear Margarita is the perfect segue to Fall with the addition of a cinnamon, cloves and nutmeg simple syrup in a cocktail featuring Tequila and Pear Liqueur. With the advent of Fall, cocktails take a different direction; the fruits of summer are replaced with apples, pears, cranberries, pumpkin and pomegranate. Admittedly I can fixate on apples when the first chill of the season is in the air; I am particularly fond of apples picked during their season and they are such a complement to both bourbon and caramel. But I need to branch out and get more adventurous and today it’s all about the pear. I actually bought some pear liqueur last year and didn’t get around to using it so this cocktail has been on the back burner for a very long time. No more…front burner it is and trust me, this one is divine. I used to be anxious about blending ingredients that would not seem typical with tequila but I’ve long passed that fear and now love to experiment. This one is a winner. Huge winner. I was provided with a bottle of Milagro Silver Tequila and decided this would be the perfect recipe to partner it with. Reviews had indicated it was better with cocktails than on it’s own and that’s usually the case with liquor in this price range. 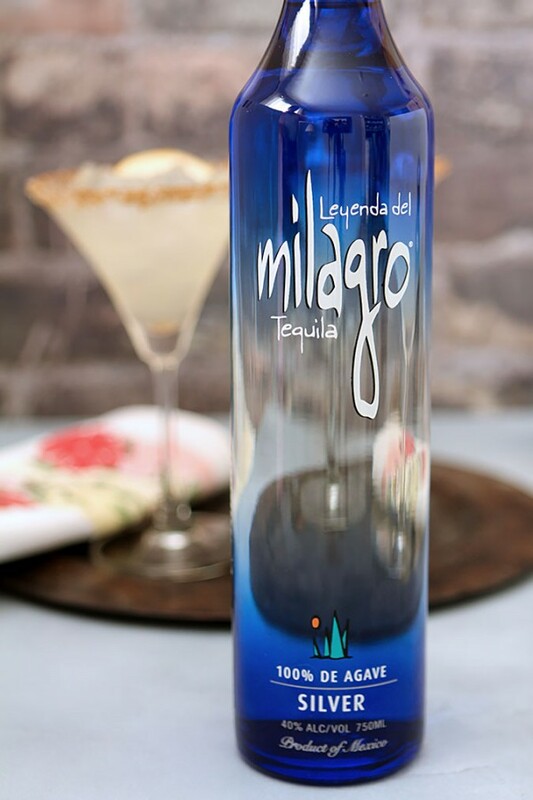 Milagro Silver is made from 100% estate-grown, hand picked blue agave harvested from the highlands of Jalisco, Mexico. The heart of the agave is roasted in brick ovens made from the same volcanic-rich soil where the blue agave flourishes. 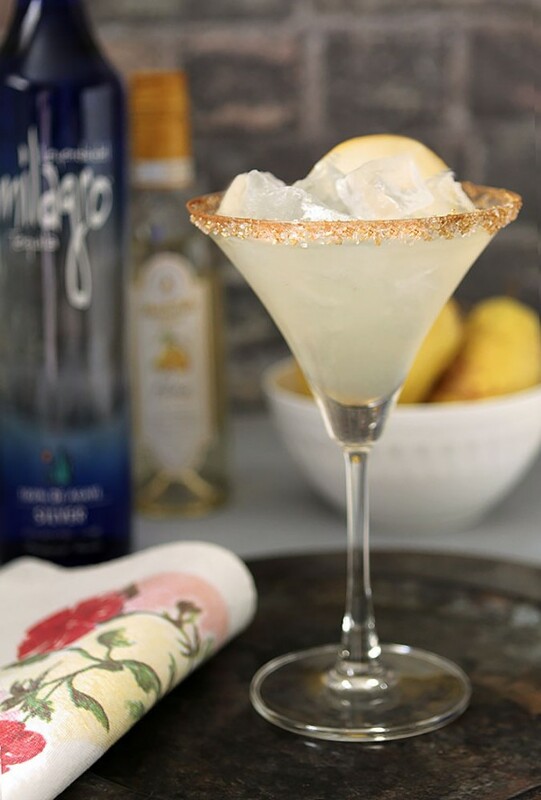 The tequila is clear and transparent, and Milagro Silver is triple-distilled for smoothness. It was perfect for this cocktail featuring pear and warm spices! I do have a dilemma though. My neighbor Amy has been my constant companion whenever I make two cocktails for photos. I let her know when I’m done and we managed to find time that day or the next to sit and chat for a few minutes and sip the results of my efforts. She has decided to not drink ANY booze for 30 days. She’s killing me…this cocktail is way too good to go to waste and I seriously only enjoy one drink at a time. Combine ingredients in a saucepan and bring to a boil, stirring occasionally. Lower the heat to low and simmer for 6-8 minutes. Remove from heat and allow to cool completely. Store any leftover syrup in the fridge for up to one month. Combine all ingredients in a bowl and stir until evenly mixed. Scatter on a flat plate. Rub the rims of glasses with a lime wedge and tip unside down into spiced sugar; coating the rim. Combine all of the cocktail ingredients in a cocktail shaker filled with ice. Shake vigorously for a minute or two and then strain into the cocktail glass. I like to use cake decorating sugars on the rims of my cocktails but you can use regular sugar. If you want to try the larger crystals; I get them at my local Michael's store. This cocktail has half clear and half gold mixed with the spices. I was provided with the Milagro Silver Tequila to create a cocktail with, however, all commentary is my own. 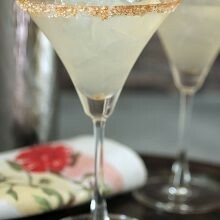 The post Spiced Pear Margarita appeared first on Creative Culinary.